​with introduction from Robert Elms. I have to say that I was a little sceptical about this book. Maybe it was too early after Bowies death? I'm not sure. It was Robert Elms that made me think twice about It. With his foreword. And now I think it may be very important. More important than just a catalogue of David Bowie albums. This book was always going to work on one level, the coffee table read or the facts checker. But it's clearly more intelligent than that. I have a feeling one day, it might be essential academic reading for some university studied subject or other. Was Bowie really that important? Well!? 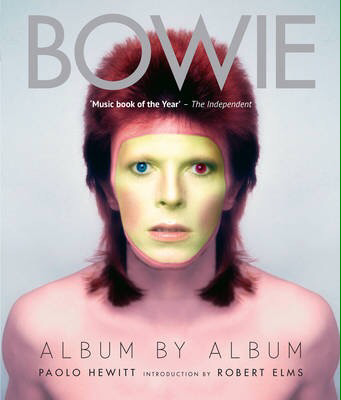 It was very soon after Bowie's death to publish this book, true. But I think they might have got it just right.